For the past 10 years, I have had the honor of hearing the many stories on how 'Rocky, Miss Daisy or BoBo' became a family member. Many were rescues or castaways - and in the arms of loving families, became cherished companions. My own little 'Lucy' is a rescue and her story is one of resilience and desire to live. When the time came to say goodbye to these cherished companions, families would share memories and anecdotes which eased somewhat the grief for a brief moment. Tentative smiles in between tears followed by questions on how best to honor their memory would weave its way into our conversations - they all want to somehow create a tribute - to extend the legacy forever. What better way to honor your pet's memory than by supporting a local animal organization? 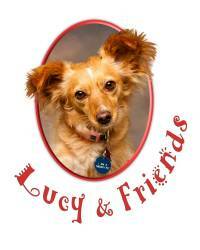 Do your part today - register your furry family members and show your support through Lucy & Friends!